Boeing South Carolina is home to the nation’s second 787 Dreamliner final assembly and delivery facility. Latika Dickerson began her manufacturing career at a small machine shop in Andrews, SC. After being laid off, she decided to get her associates degree from Horry-Georgetown Technical College. While attending, she began a training program through ReadySC that allowed her to begin working in two months. 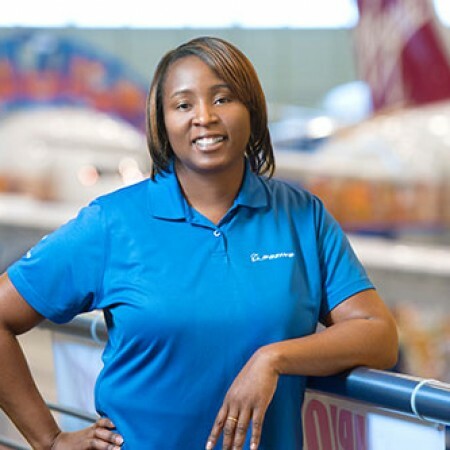 After she finished her associates degree, she began her career as a mechanic with Boeing South Carolina. Latika says the most satisfying part of her job is being a part of making and building one of the most technologically advanced airplanes in the world.